Carused.jp Blog Home » Professional Car Knowledge » Insider Tips on Car Importation: How to Import a Car from Japan to the USA? Insider Tips on Car Importation: How to Import a Car from Japan to the USA? Japanese cars have a unique character. Not only are they highly innovative, but they were also designed to withstand the test of time. 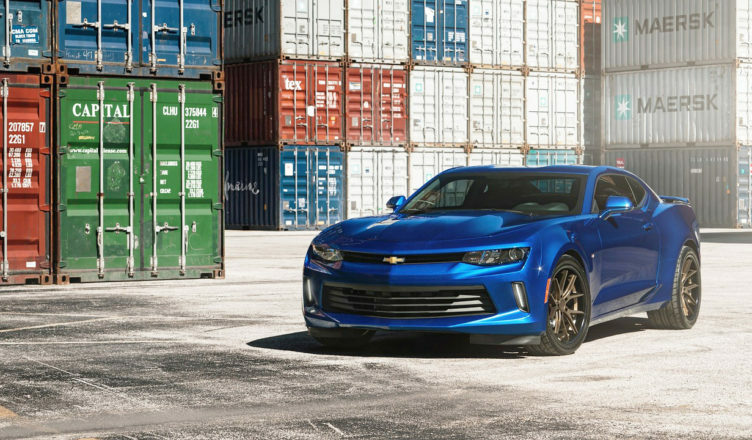 Because they are made with state-of-the-art technology, many people resort to importing brand new and used Japanese cars in the US and in other parts of the globe. However, contrary to popular belief, the road to car importation in the USA is often bumpy and curved. If it’s your first time to import a vehicle in the country, below are some of the important steps you should follow. If, for instance, you lived in Japan and you own a vehicle that you want to get imported to the US, skip this step. If not, select a Japanese vehicle and do so with precaution. Thanks to technology, you don’t need to go to Japan to personally choose a car. However, it can be quite overwhelming to review different online companies and find an importer you can trust, and this is why CarUsed.jp is here to help you make sound decisions. We are home to premier Japanese vehicle models and makes. Whether you need a heavy-duty utility vehicle or a luxurious car, you can count on us to offer you numerous options that are A-grade in terms of quality and performance. You can simply pick from the wide array of vehicles available in Japanese car markets and auctions by browsing on our website. The car you picked has less than 25 years old? Every country has its own set of car import rules and regulations, and the US is far from being an exemption. If you want to import any vehicle in the country, you need to first check if it complies with US policies. You can do this by taking a look at the list of Japanese car models and makes that strictly conform to US standards. If the vehicle you selected is not on the list, check if it is included in the list of vehicles that can be modified to meet all US requirements. Now, if the vehicle you selected does not conform to US standards, you can still bring it into compliance. This might seem simple at first glance, but it is actually a daunting task, especially if you are not aware of the rules you need to follow. Crash Testing: Conducted to check if the vehicle meets US safety standards, crash testing is required for all non-conforming vehicles before importation to the US. During crash testing, the Insurance Institute for Highway Safety (IIHS) needs to buy several vehicles of the same model and make to put those vehicles under severe stress. Headlight Angles: If the headlight angles are not at par with US standards, replace it with a new one that does. Speedometer: If the speedometer is set into kilometers, convert the reading into miles. Reflectors: Before importation, install red reflectors at the back and orange reflectors at the front sides of the vehicle. Brake Light: Reposition the 3rd brake light if it does not comply with US standards. Bumpers: Check the bumpers for power and durability. Other Safety Precautions: To qualify for importation, a vehicle must also have other safety features like an alarm to remind drivers and passengers to keep their seatbelt on and a fuel spillage limiter in case of an accident. Vehicular Reinforcement: Reinforce car doors, bumpers, rear ends and roofing system to optimize car safety. Emission Testing: If, for instance, the vehicle passed crash testing, you have to acquire a permit from the Environmental Protection Agency, which is mainly concerned with limiting pollutants from vehicles. If you are going to import a non-conforming vehicle for non-commercial purposes, the steps above can be overwhelming. But don’t be disheartened because you can always skip these steps by getting help from an independent commercial importer (ICI) or a registered importer (RI) that can make all the necessary modifications on the vehicle you need to import. To avoid unnecessary problems prior to importation, double check if the car has two valid stickers—one issued by the Department of Transportation and another released by the Environmental Protection Agency. The former is at the doorjamb on the driver’s side while the latter is stuck at the engine of the vehicle. If one of the stickers is not on the vehicle, you must obtain a certificate released by the car manufacturer. The certificate must clearly state that the vehicle is in compliance with US car import policies. Note that if the car you are about to import is aged 25 years or older, it doesn’t have to comply with DOT and EPA policies. However, you still need to complete the paper works required by DOT and EPA to secure a clearance from the Customs and Border Protection. Want to skip the expensive and laborious car import tests? Pick a vehicle that’s 25 years or over. You heard it right. You can take a shortcut and get pass all the strict US regulations without a sweat as long as the vehicle you are about to import is 25 years old. According to US policies, all 25-year-old vehicles don’t have to abide by EPA and DOT regulations. Also, they can be imported into the country even without crash tests, bumper strength tests and so on. Once the car turns 25, it can be directly imported without conforming to US standards given that the car still runs on its original engine. No seatbelts or headlights? No problem. You can import the car anyway. However, there are still 2 exemptions to this rule. Firstly, even though the federal law permits the import of all 25-year-old vehicles into the US, you still have to consider the laws that govern your state. While some states don’t inspect imported vehicles, there are still states that require basic safety car features like seatbelts. Secondly, California has stricter laws on vehicular emissions. Even if a car can be legally imported to other parts of the US, if it was released after the year 1975, it has to get certified in the state. Without a certification, the car cannot travel on Californian roads. Unfortunately, car certification in Canada can cost thousands of dollars. To avoid unnecessary delays and problems with importing your vehicle to the US, you need to complete the paper work and provide all the necessary information with accuracy. This applies even to vehicles that are 25 years and older. EPA Form 3520-1: Gather all the car specifications provided by your car import service provider. Here at CarUsed.Jp, you can see the car specs in a tabulated form. You’ll need this information once you fill in the Environmental Protection Agency (EPA) form, which can be downloaded online. The form asks you to provide basic information about the vehicle, including car model, car status, car use and when applicable, the independent commercial importer (ICI). DOT Form HS-7: Just like the EPA form, you can download the Department of Transportation (DOT) form and complete the required fields in advance. The DOT form asks you basic car information, which includes the vehicle model and make, the date of entry and the port of entry. If applicable, also provide information on your registered importer (RI). If you are importing a vehicle in partnership with a Japanese company like CarUsed.jp, you don’t really have to worry about pre-shipment preparations. If you are working independently, on the other hand, make sure that the vehicle is ready for shipment. Firstly, have the car professionally cleaned to bring it into compliance with the standards set by the Department of Agriculture in the US. According to the department’s policy, all imported vehicles must be free from any foreign soil or debris before shipment. Then, select a carrier for the vehicle. Typically, the shipment costs around 1,500 to 4,500 USD, depending on the vehicle specs, the shipping company and the port of entry. The shipment can take up to 17 days, so it’s best that you ask your shipping company to notify you on the exact date of arrival so you can submit all the required documents to the Customs and Border Protection (CBP). The vehicle will be thoroughly inspected at your chosen port of entry. Once the vehicle is shipped into your chosen port of entry, you have to pay duty fees and federal taxes before registering the vehicle. Duty fees are dependent on the total price of the vehicle, along with its category. For instance, duty rates imposed for trucks are significantly high at 24%, while duty rates levied on cars are lower at 2.5%. However, if you are a US resident, you may be exempted from any duty fees. Additionally, federal taxes are also imposed to vehicles with a fuel economy rating lower than 22.5 miles/gallon. You can learn more about fuel economy ratings by consulting with either independent professionals or car manufacturers. After paying all the taxes, register the car and obtain a plate number from the Department of Motor Vehicles before taking it on the road. You may have to present documents from the Customs and Border Protection. How much does it cost to import a car from Japan to the USA? As previously mentioned, the cost of importation can fall anywhere between 1,500 USD and 4,500 USD. The total importation fee is dependent on factors like the vehicle’s specification and your chosen port of entry. You can easily get this information on CarUsed.jp. Our website can automatically calculate those costs and give them to you before you order the car. Can Limited Edition JDM Cars be imported to the US? Once they pass all the necessary tests, limited edition JDM cars can be imported to the US. There is just one downside: high-performing Japanese cars or limited edition JDM cars are extremely rare and expensive. Nonetheless, these cars are cheaper in Japan than in the US, so dealing with a Japanese car exporter like CarUsed.jp can really lower your budget. How Can I Guarantee the Condition of the Vehicle? CarUsed.jp is geared towards looking after your best interests. We understand that importing a used car from Japan is a big decision, and this is why we offer you the transparency you need. All the vehicles that are included in our listing have undergone a comprehensive inspection. We also provide you detailed information on the car’s overall condition so you can make sound decisions as you choose among the vehicles available in the Japanese car market. Hi Mr Hafeez and thank you for your comment. where do i find this list that you mentioned of Japanese cars that conform to us standards?